KEY CONCEPT Covers numeracy areas including number sequences and prime numbers. DESCRIPTION FROM THE PUBLISHER: Twelve-year-old Robert hates his maths teacher. He sets his class boring problems and won’t let them use their calculators. 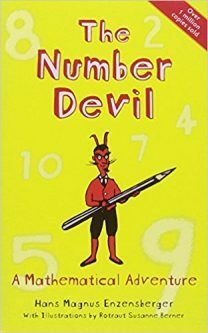 Then in his dreams Robert meets the Number Devil who brings the subject magically to life, illustrating with wit and charm a world in which numbers can amaze and fascinate, where maths is nothing like the dreary, difficult process that so many of us dread. “The Number Devil” knows how to make maths devilishly simple.